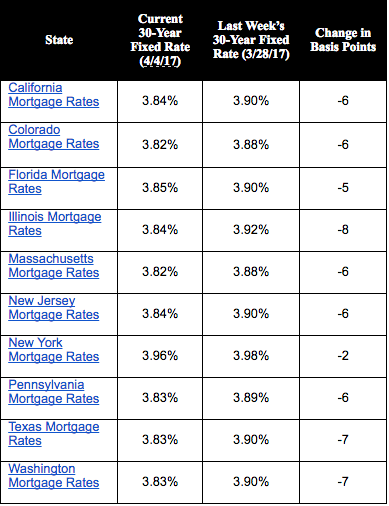 The 30-year fixed mortgage rate on Zillow Mortgages is currently 3.84 percent, down 6 percentage points from this time last week. The 30-year fixed mortgage rate hovered between 3.94 percent and 3.88 percent for most of the week before falling to the current rate. The multifamily market perked up a bit in March. 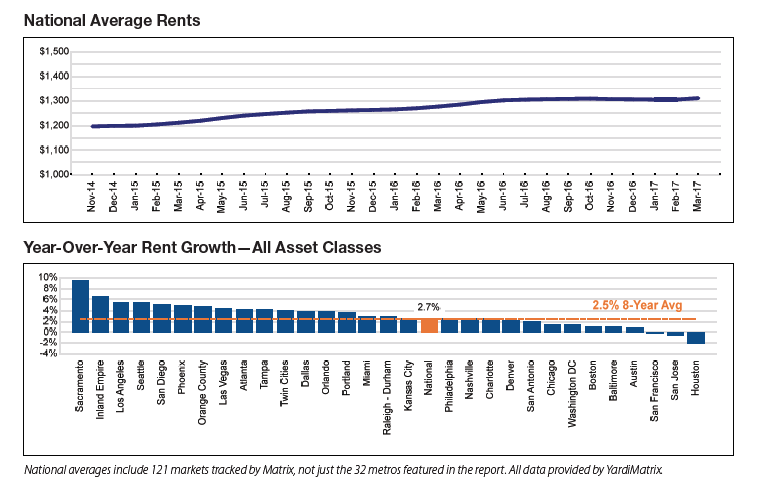 Average U.S. monthly rents increased by $6 to $1,312, according to the most recent survey of 121 markets by Yardi Matrix. In March, the recorded growth measured 2.7 percent nationwide. However, it is not an indication of a lasting upward trajectory. The improvement reflects a seasonal trend, as households relocate when weather conditions become more favorable. Sacramento still leads as the strongest market for year-over-year rent growth, followed by California’s Inland Empire. Los Angeles, Seattle, and San Diego round out the top five in all asset classes. Overall rent growth is still relatively sluggish, coming in at half of the growth rate recorded at this point last year, which was 5.4 percent. Rents have declined by 10 basis points since last February. Occupancy rates remain unchanged. “We maintain the forecast of a 3 percent increase in rents for the year. The economic climate may influence market projections,” according to Jeff Adler, vice president, Yardi Matrix, in a statement.